Last week I returned from a fleeting visit to Bangkok and Hong Kong. It was an extraordinary privilege to spend time with Rossall’s many friends in this part of the world. It was all too brief a visit with less than 48 hours spent in Bangkok and just over 24 hours spent in Hong Kong. Rossall’s long standing association with South East Asia dates back to the beginning of the twentieth century. 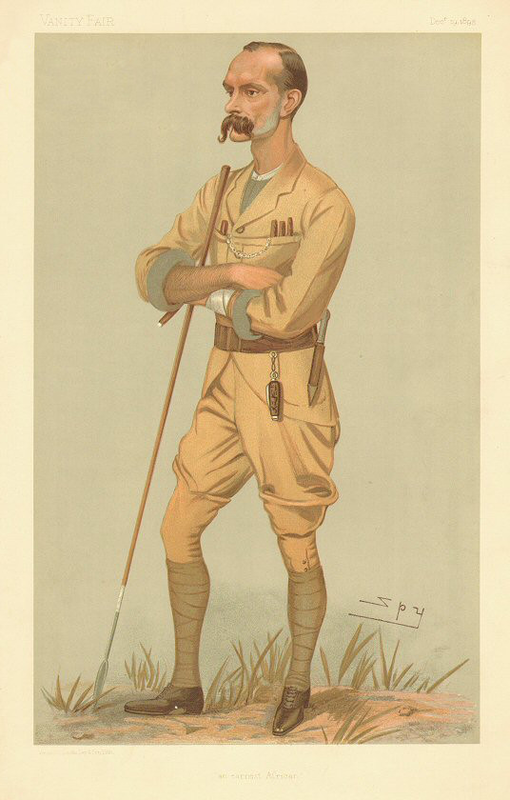 The British soldier, mercenary, explorer of Africa and colonial administrator Frederick Lugard (1858-1945) attended Rossall School in the 1870s before going on to become the Governor of Hong Kong (1907-1912). The historian Rory O’Grady has written a fascinating biography about Lugard entitled The Passionate Imperialist. Last year, Rory was kind enough to donate a copy of this wonderful book to the Rossall School Library. Lugard was a swashbuckling adventurer who lived a life of remarkable contrasts. He achieved an extraordinary amount and was, in part, responsible for the creation of Nigeria. Meeting current and prospective parents is always a joy and in Bangkok we were fortunate enough to be treated to dinner at the house of Jim Thompson who was responsible for saving the Thai silk industry from almost certain extinction. In 1967 he disappeared whilst visiting Malaysia’s Cameron Highlands. As a former CIA executive, speculation concerning his disappearance was rife, not least because he was considered to be supportive of those movements antithetical to US interests. The brand which now bears his name is famous throughout Southeast Asia. Once again, there is a strong Rossall link to this particular company as a Rossall parent is Director of Communications of this highly successful global brand. Rossallians really are to be found everywhere. If you wander down to the Bangkok Protestant Cemetery which provides a haven of tranquility amidst the hustle and bustle of the city, then you might chance upon J. Geoffrey Walsh, the cemetery chairperson. Geoffrey retired to Bangkok some twenty odd years ago having lived in America for much of his adult life. He is an Old Rossallian and remembers his days on the Fylde Coast with real fondness. All of those whom we met in Hong Kong evidently share bonds forged in Lancashire. The fact that there are groups of Rossallians in cities across the world who tend to remember the School with such fondness should be a cause of very real celebration. We are a global school and I have no doubt that all of us gain a tremendous amount from being part of a network of collegiate friendship which extends well beyond the school gates. It strikes me that, for many, Rossall is more than just a school and more than just a home. On the trading floors of the Hong Kong stock exchange or in secluded corners of Bangkok, Rossallians are to be found. Some left the school nearly seventy years ago whilst others left much more recently. All retain a regard for Rossall that endures to this day. Next postDoes Academic Success come at the price of Happiness?